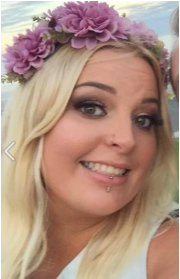 Salon owner and top stylist at Hair Philosophy, Nicola has over 10 years hairdressing experience. She has won many awards within this time, from Loreal Colour Trophy finalist, to the Young Hairdresser of the Year finalist at the Clothes Show Live finalist. Nicola specialises in wedding hair, prom hair and special occasion hair, and is always up for a challenge. No hair is too much work for this girl. Our fully qualified & insured beauty therapist Alex holds almost 10 years experience in the beauty industry. She is trained in most aspects of beauty from spray tanning to lash enhancing and specialises in gel nails & intimate waxing treatments. Late night & weekend appointments available. With over 10 years Experience on the shop floor Lisamarie's experience is second to none. She always strives to achieve exactly what the client wants and desires.